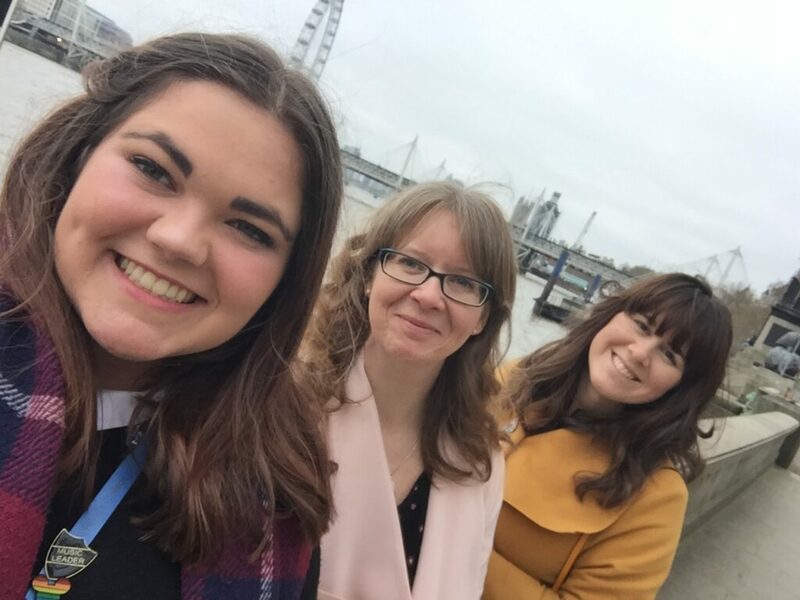 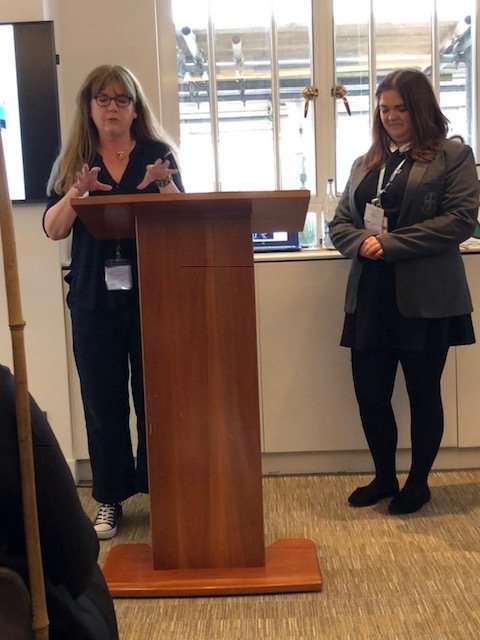 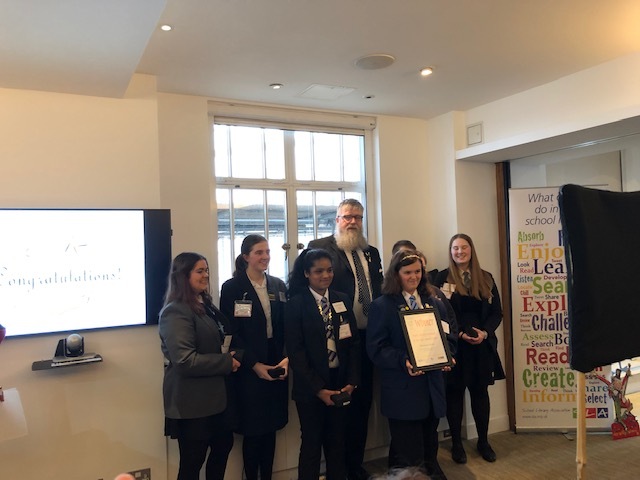 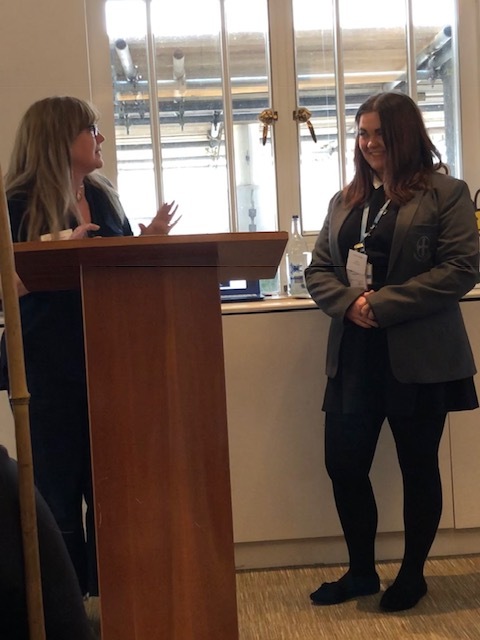 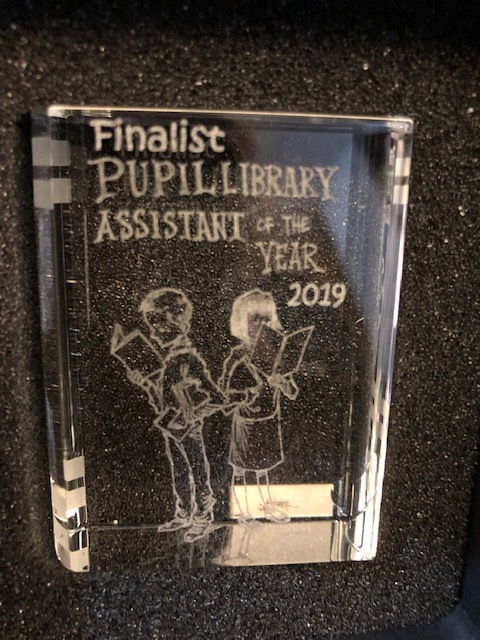 We had a wonderful day in London at the Pupil Library Assistant of the Year finals where we were inspired by all of the wonderful finalists, hearing about the difference they make to their school libraries and the difference their school libraries have made to them. 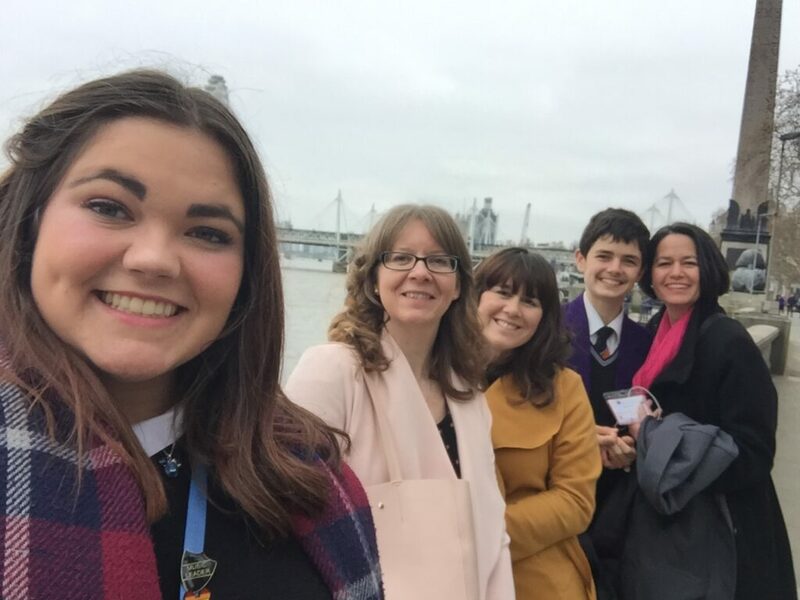 We were so proud of our wonderful Emma Weeks, who beat off competition from all over the UK to get to the finals. 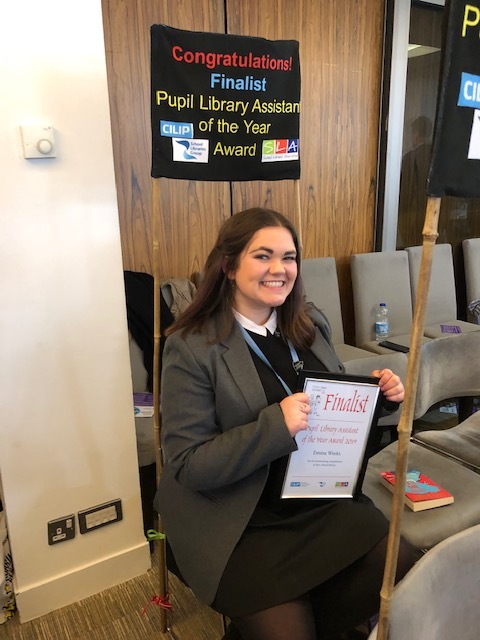 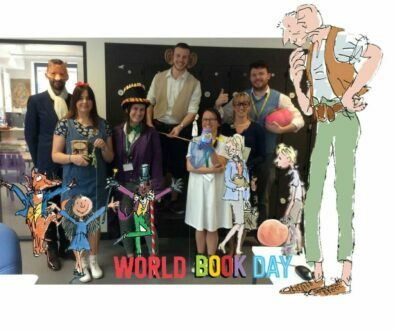 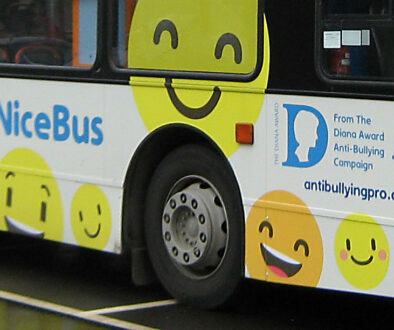 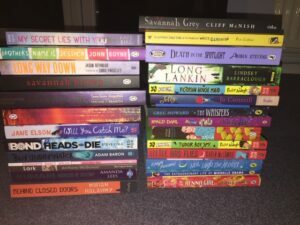 She was a credit to school and was praised by so many of the authors, editors and librarians there for the work she does to promote mental wellbeing through reading. 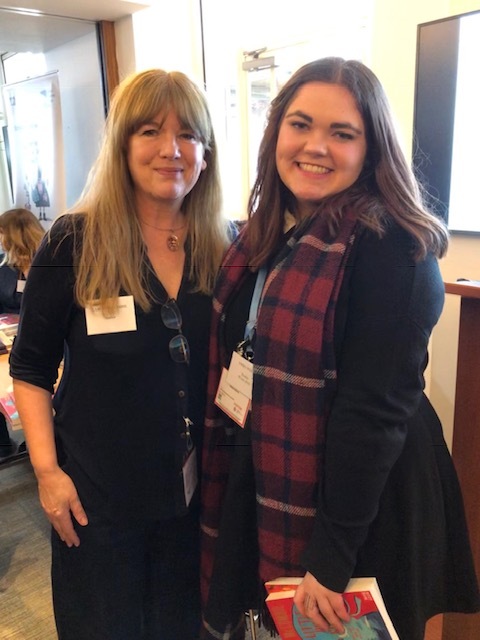 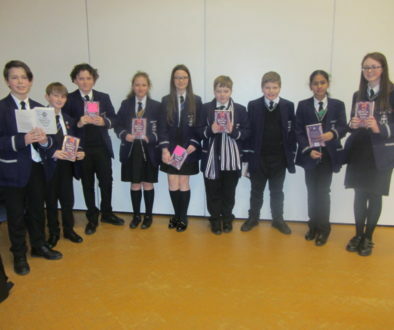 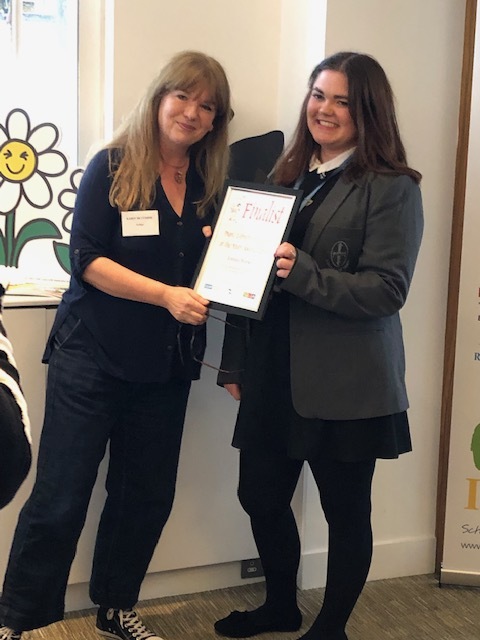 Emma was championed by author Karen McCombie, who spoke passionately about the pressures of secondary school life and how libraries can provide a sense of calm and a place of safety to anyone who needs it. 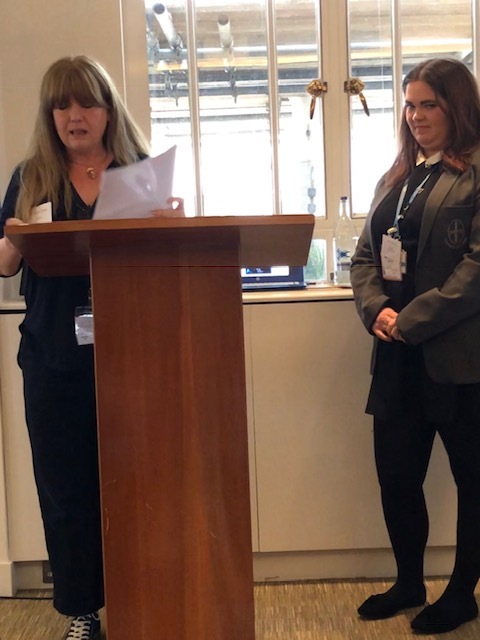 She brought us to tears when she spoke about Emma and her relationship with our library. 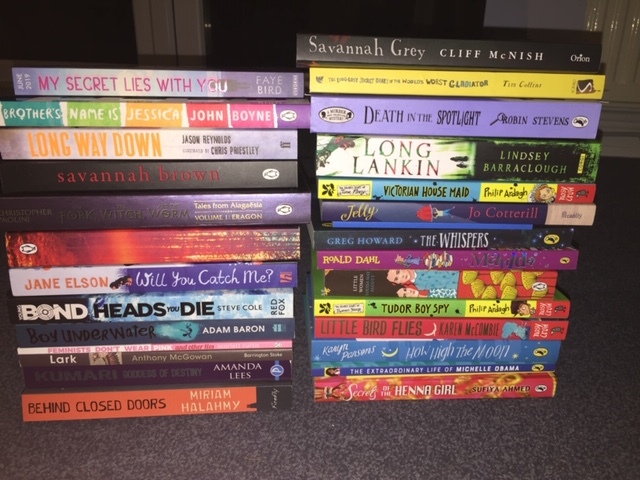 Emma met so many talented authors during the event and was lucky enough to come home with bags full of signed books as a reminder of the day.